We come now to one of the longest and, in my opinion, most interesting chapters of TCCL. The counterpart to the subject of the previous chapter (labor in technological society) is leisure. We recall that the splitting of life’s occupations into two distinct modes (labor and leisure) mirrors exactly the working of the Device Paradigm. Labor becomes the hidden machinery and leisure the surface, the commodity we are fundamentally “about” in life. 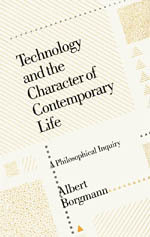 Borgmann points out in this chapter that critiquing technological labor (what we have done in the previous chapter) is therefore only one side of the story: even proponents of technological society would readily admit that technological labor may not be the most fulfilling or most meaningful aspect of technological life. But the reason we accept the kind of work available in technological society is because it opens the possibility of leisure, of happiness—this is what the work is for. Surely technological society’s most compelling argument is to be found in the supposed fruits of technology, a life of leisure. What are these fruits exactly? They come in two varieties: the first has a negative, disburdening character. Freedom from disease, for example. The other is more about consumption, which is what we normally associate with “leisure”. Technological visionaries took the negative form for granted; it was the positive form that conveyed the true promise of technology. But how has this actually been cashed out? As Borgmann says, “the fear that the positive and shining goal of technology has after two centuries of gigantic efforts remained distant and may even slip from sight leads a note of urgency if not panic to the pronouncements of those who urge that we continue to promote technology” (125). He quotes Isaac Asimov for context: “Robots will leave to human beings the tasks that are intrinsically human, such as sport, entertainment, and scientific research”. Here we begin to get to the heart of the issue. The promise of technology has always been that of a supremely enriched life. A life free of disease and premature death, certainly, but it is the positive character of the technologically liberated life which has inspired the speeches and rhetoric of technology’s proponents. It’s therefore eminently important to ask what exactly this positive character is supposed to be, and whether we see it actually taking shape in our lives. Of course, these traits were perhaps only ever explicitly pursued by a non-working elite, but in the modern period there have existed analogues that all of us can readily relate to regardless of class. Assuming that something along these lines is implicitly or explicitly what proponents of technology like Asimov mean by “tasks that are intrinsically human” (i.e., the tasks we aspire to engage in with the leisure time afforded us by technology), we can straightforwardly evaluate whether our society is becoming “excellent” in this way by asking two questions: first, are people actually achieving these qualities in themselves? And second, whether or not they are achieving these qualities, how much of their available time and effort are they spending in pursuit of them? It’s likely that none of this is surprising, but Borgmann insists it should be disturbing to proponents of technology, who for hundreds of years have used something like the promise of excellence-filled leisure to inspire gargantuan efforts in the service of a technological reshaping of the world. Of course, it’s always open for a proponent of technology to let slip the moorings of traditional excellence, and claim that a technological age has its own inner logic that early advocates simply could not articulate. In fact, the Device Paradigm is one such formulation of technology according to its own inner workings: it says that the technological enterprise succeeds not when everyone is pursuing excellence but when every thing is technologically available (in the sense defined in Chapter 9). But does technological availability lead to happiness? Another way of putting the foregoing discussion about leisure is to say that technology has always held high the promise of happiness. Happiness is of course hard to define a priori, and it’s no less of a moving target when defined from a technological perspective. But, it’s not difficult to ask people how happy they feel. If this kind of avowed happiness is any indication, technology is doing quite poorly; as technology has reshaped more and more of everyday life, professed happiness has decreased, at least since WWII. What explanations are there for this? Some (e.g., Scitovsky) warrant that while technological ends like watching TV are not inferior to the ends of traditional excellence, they tend toward comfort rather than pleasure (which Scitovsky argues involves some discomfort). Thus if we could manufacture the right neurochemical triggers, we could solve the problem of happiness by inducing constant pleasure. Clearly this is a position that leaves excellence by the wayside, and I don’t think Borgmann’s argument will appeal to someone who takes this strong view. Another explanation for technological unhappiness comes from Hirsch. He argues that there are fundamentally three types of goods: (1) commercial goods or commodities, (2) positional goods (ones that clarify a person’s position in society, like a PhD or perhaps an expensive car), and (3) public goods (like clean air, trust, and open spaces; things that we either all have in common or none of us does). Hirsch’s critique of technology is then that technological society excels at bringing us goods of type #1, but not the other types. An expensive car, which used to be a positional good, once commoditized and made more available, ceases to be one. Or the introduction of freeways and extensive parking spaces rids us of clean air and public parks, thus vitiating public goods. And on Hirsch’s view, happiness is correlated with positional goods. While Borgmann appreciates in general this types-of-goods analysis, he doesn’t agree with Hirsch’s explanation of our dissatisfaction with technological society. According to Hirsch, we should be much more dissatisfied than Borgmann claims we actually are; on Borgmann’s view, as long as the escalator of commoditization keeps moving, positionality is maintained, and thus that can’t be the deepest source of our unhappiness. Instead, Borgmann thinks that it is the divided character of technological goods themselves which renders us unsatisfied. As he says, “what distinguishes technological life is not surliness but its division into surfaces, rough or pleasant, and concealed, inaccessible substructures. Perhaps it is this divided character of our lives that leaves us unhappy”. In other words, the Device Paradigm puts part of life into these concealed substructures, taking them out of our grasp, along with any possibility of relationship with them. The Device Paradigm explains how a thing is divided into its function (or commodity) on one hand and its machinery on the other. A fireplace, a hearth, is turned into (1) a heating apparatus that delivers (2) warmth. But a hearth was never a free-standing element. It was always embedded into the fabric of social life, embedded deeply into family rhythms and the organization of the home. So by making a break down the middle of the hearth, technology not only divides the hearth, but it lifts it out of its context, “dis-embedding” it. 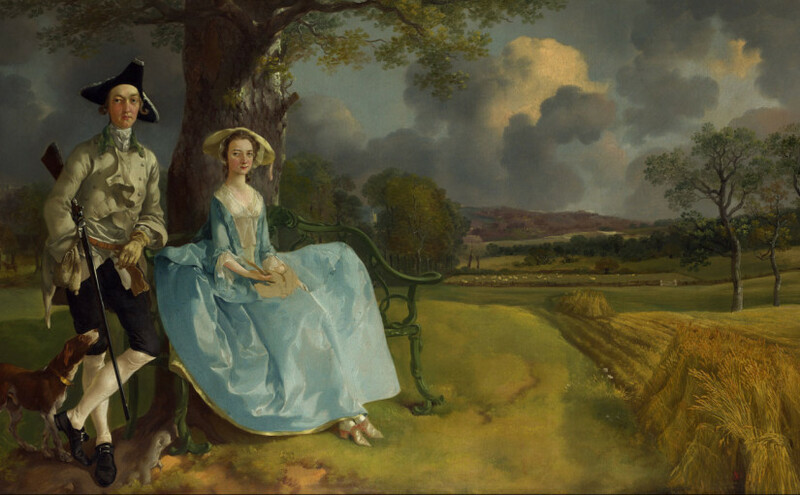 If the former break is a “horizontal” break (dividing the hearth into say an “upper” commodity and a “lower” machinery), then a knock-on effect is the creation of “vertical” tears in the fabric of life of which the hearth was a part. As more and more “things” are reanalyzed as “devices”, these rifts become more concrete and distinct. The end result is a sea of free-floating devices, tastes, and commodities, which can be put together and arranged in a multiplicity of ways. This is what we now do as moderns when we build our “lifestyles” out of the variety of options made available to us through advertisements. But an infinitely-rearrangeable collection of commodities is vastly different from what we have been calling the “fabric” of life, where that word is chosen to convey an essential unity. It is this fundamental distinction that Borgmann sees underlying our unhappiness with technological society, and why he believes that the resources for resolving that unhappiness cannot be found within technology itself (since the Device Paradigm is the constitutive pattern of technology’s operation). But we’ve only been examining one kind of technological good—the positive kind that most inspired technology’s early proponents. We’ve seen that technology has some deep difficulties in actually keeping the promises it’s made with regard to happiness. But what about the other kind of good, the negative, “defensive” goods like vaccinations, snow removal machines, etc…? Do they not provide happiness of a more lasting and solid kind than “mere” commodities? Borgmann maintains that the answer to this question is also “no”. Of course, upon their introduction into our lives, these goods provide a burst of happiness in the form of relief, and many (vaccines, for example), genuinely increase health in an appreciable way. But we quickly come to regard these as the status quo, and they no longer become noticeable except in their absence. Ultimately, comfort is a deadening force that attenuates our experience of the world to close to nothing. Work in technological society is a matter (for most people) of pushing buttons rather than engaging with true skill. And as a society we look for more and more minor inconveniences to wipe away with the magic wand of technology, only deepening our numbness with greater comfort. So why do we stand this? Why have we as a society not recognized this source of our unease and done something about it? Borgmann points out that while these negative or “defensive” goods can only solve so many problems before becoming completely banal, there is another stream of technological good that is unlimited, namely entertainment. Borgmann defines “entertainment” as commodities we can eat, see, and hear, and these are all things which have by now become totally available in a technological sense. The classic example of entertainment is TV (though now it should perhaps be online media). Borgmann’s problem with TV is not so much that it actively harms society as that it prevents other, genuinely good things from occurring. TV, and now the tablet device, have become the pre-eminent parenting tool for modern children, who grow up under a flood of missed parenting opportunities. The fact that TV and the Internet also prevent us from pursuing activities that lead to our avowed societal and individual goals of excellence is another example. And a TV, of course, is the perfect example of the Device Paradigm, split perfectly into a magical commodity (TV screens these days are just about 100% viewing area) and ineffable machinery. Borgmann thinks that all of this can perhaps explain our unhappiness in a deep way: we all know the quality of TV programming is not that great, and that it doesn’t in general promote an excellent life to watch it. But at the same time we can’t let go; “it provides a center for our leisure and an authority for the appreciation of commodities” (143). As a limitless form of entertainment, it is a palliative for our unhappiness even as it perpetuates it. Clearly, this picture of modern life is bleak. If we agree with Borgmann, we’ll want to be asking the question of how we can reform such a condition. That’s where Borgmann goes in Part 3 of TCCL. But before we explore the reformation of technology, we have to ask how stable the condition we’ve just described is. How stable is the technological paradigm? This is what we’ll discuss in the next chapter! I’m always reading these chapters and your comments as a correlate with OSS. In this is it safe to say that OSS was, at some point, a social good and is now moving into the commercial good space? “As regards to public and social goods, the private corporations that dominate the economy are unable to provide them and therefore transform them into commodities and so draw them into the realm of commercial production” (132). Is OSS becoming a free floating commodity that is assembled as part of larger commercial innovation streams? This is an interesting thought. I know that it is not something that would apply to all open source communities but it could be the case with a lot of communities I encounter. OSS available in an institutional form. See the commodity, not the machinery. Thanks! Yeah, this was one of my favorites. I think you’re spot-on with the transition happening in OSS. (cf. the ‘roads and bridges’ paper/argument). From the outside, people are definitely looking at it more as a commodity than a community of skilled artisans producing unique artifacts. What are the consequences of this? Well, greater ‘availability’ of course (per the Device Paradigm). But lessened ‘focality’ for those engaged in it.